A successful implementation approach and ongoing cadence to executing and reviewing your plan requires your team to always know what they’re responsible for and when they need to update their progress against goals. 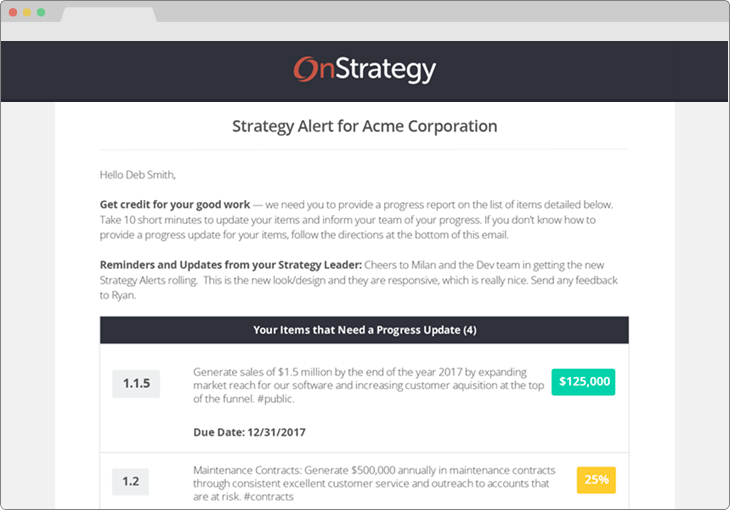 Part of OnStrategy’s suite of performance management features are Strategy Alerts, which are automated emails that notify each member of your team when their goals and actions need an update. They look like this! 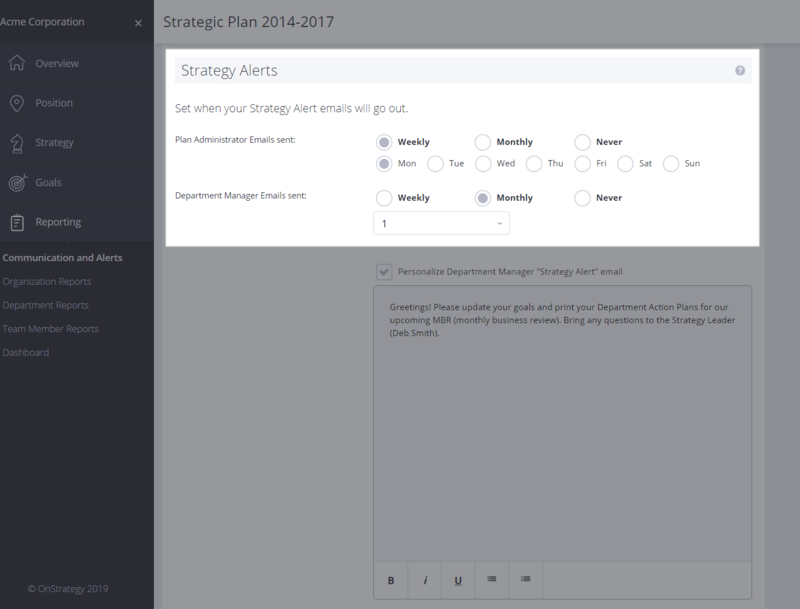 After you’ve decided when your strategy reviews are to take place, be that weekly, month, or quarterly, we recommend going into your plan’s notification settings and enabling Strategy Alerts for your team. 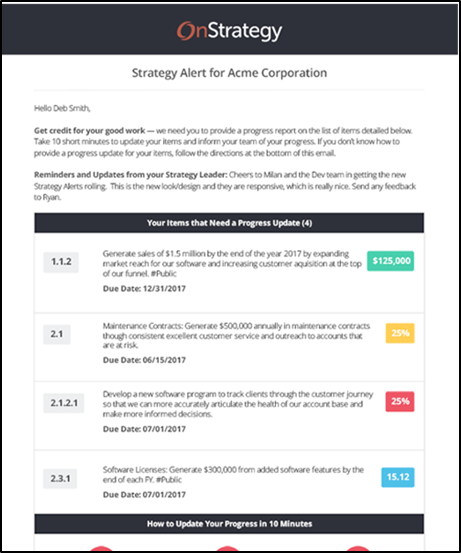 These notifications are an easy way to help keep your plan front-and-center and help eliminate the need to chase down updates. Weekly – These are sent weekly on the day of your choosing. Monthly – These are sent monthly on the day of your choosing. We recommend selecting cadence and day of the week that best suites your own organization’s needs. For example, if your month-end reporting falls on the 2nd of each month, consider making the update due on the 3rd to coincide with that. You can adjust the greeting message sent as part of the email for each team. Just type your message in the text box provided. 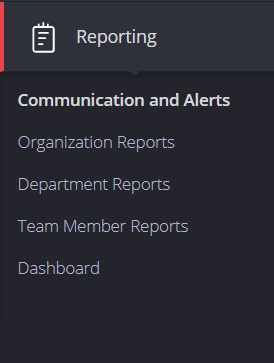 Once the alerts are sent to your team, using them is as simple as following the instructions in the email. 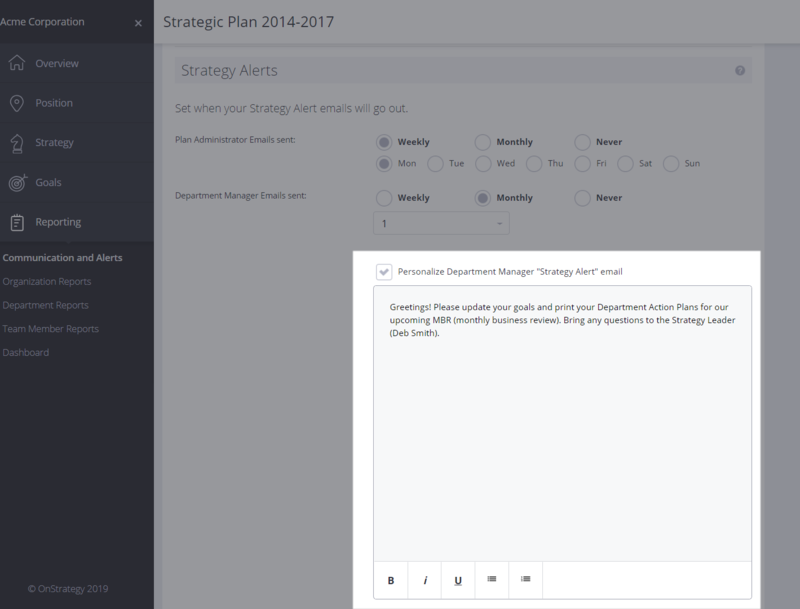 It will provide an overview of the goals that need to be updated with instructions on how to update them. These goals will match the goals flagged for an update in the notifications icon in the application.